Chronic fatigue syndrome is extremely common, although it is not a recognized diagnosis in many medical books. It is a condition that responds extremely well to nutritional balancing science. We do not need to use hormones, anti-depressants or any other drugs. This article briefly introduces the causes, symptoms and correction procedures for this condition. As the name implies, the main symptom is an unrelenting fatigue or exhaustion, even if one gets a few good nights of rest or takes a vacation with no obvious stress. There is often some overlap with other conditions such as fibromyalgia or other pain syndromes, adrenal burnout, hypoglycemia or cravings for sweets, hypothyroidism, chronic or recurrent infections, depression or anxiety, and perhaps others. What distinguishes chronic fatigue syndrome from some of these others is the long-term nature of the fatigue syndrome, usually in spite of a person trying various drug and natural therapies. These are always a factor, in my experience. Removing two dozen toxic metals and several hundred or more toxic chemicals is always a priority in nutritional balancing science. These can all be removed at the same time on a nutritional balancing program. Nutritional balancing uses about 19 separate methods all together to remove toxic metals. These are described in a separate article entitled Toxic Metals. We find this is much safer, faster and gentler than using chelators of any kind, even natural chelation agents such as high-dose vitamin C, cilantro, chlorella or zeolite, for example. This is always present as a cause of chronic fatigue as well. The causes have to do with stress, impaired digestion, or improper diets of raw foods, for example, or refined foods. Most food today is not as nutritious as in the past. If a person does not eat well, or is stressed for any reason, digestion suffers and nutrient deficiencies easily develop. Vegetarianism, fasting, or other extreme diets make the problem worse in many instances. I have done all these things and was lucky to recover completely from chronic fatigue syndrome that resulted. These may also be present, although not necessarily. They are usually easy to assess using the hair mineral analysis, and most often respond well to nutritional balancing programs. Often there are other autonomic nervous system imbalances that need gentle correction, which is part of all nutritional balancing programs. These are actually common causes or aggravating factors in many cases of chronic fatigue syndrome. Among the common problems are lack of sleep, going to bed too late, financial or other worries, relationship stress and improper attitudes such as playing the victim, extreme fears or depression. Any of these can place so much stress on the body that they upset proper glandular and digestive functions, leading to the rest of the causes listed above. In most cases, these factors are handled easily once a person really understands the problem and is willing to address it. These often play a role as well. Intense fear or anger, or even guilt can predispose a person to develop chronic fatigue in some cases. Some of these imbalances are easy to assess with a properly performed hair mineral analysis, while others are more difficult to assess and correct. We always recommend the Roy Masters meditation-observation exercise, as we find it extremely helpful for many of these cases. Spiritual factors mean that something is holding a person back from full health and energy that is not strictly psychological, but has more to do with a person’s spiritual development in some way. These are more vague cases, but they usually respond well to the gentle method of nutritional balancing. In some cases, chronic infections play an important role. These may be of primary importance, but more often they are opportunist infections that thrive because the body is too weak to fight them off. Common viral infections include Epstein-Barr virus, hepatitis C, cytalomegavirus and even HIV in some cases. 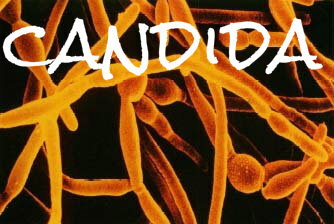 Fungal infections include candida albicans in most cases, and perhaps other fungal organisms. Bacterial infections in the teeth, gums and elsewhere are also often common. Lyme disease can also either give rise to chronic fatigue syndrome or just be an opportunist organism that makes things worse, but is not the underlying cause of the problem. The latter is far more common. These are among the most important causes that we observe. In rare cases, chronic fatigue may be the result of poisoning with a pesticide or a medical or recreational drug, or even a result of surgery, an accident or other type of stressor. Over the past 30 years, I have helped literally thousands of people recover their full energy level with nutritional balancing science. This method is extremely well-suited to correcting most of the causes above of chronic fatigue syndrome. Many people are so sick and tired of being tired they are ready to give up. However, you can recover your energy and vitality, in my experience, and without using hormones or other drugs. 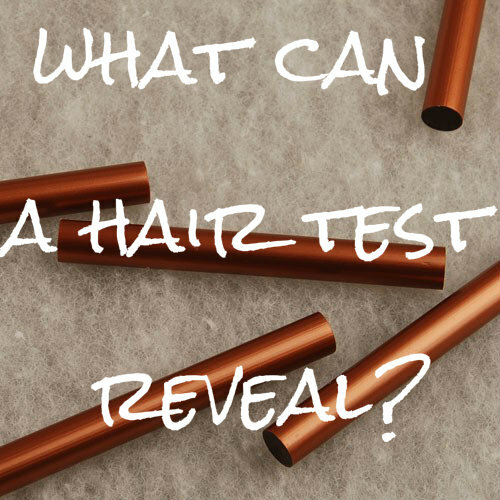 It is not a do-it-yourself method, however, and requires the use of a properly performed and correctly interpreted hair mineral analysis and periodic retesting. However, it is not too costly, either. Nutritional balancing is a lifestyle and diet-based system. This is extremely important for correcting the dietary and lifestyle components of chronic fatigue syndrome. I find this aspect lacking in many holistic approaches. There is often an emphasis on high-tech testing and many remedies, and not enough attention paid to the exact diet, drinking water consumed, and the lifestyle. So I would urge anyone with chronic fatigue syndrome to pay more attention to these factors. Nutritional balancing is extremely gentle and safe. This cannot be said of other methods of treatment that are used today. For example, I would warn the reader to avoid the use of low-dose cortisone such as Cortef and others. I would also warn against the use of any natural, bio-identical or synthetic hormones such as DHEA, pregnenelone, adrenal cortical extracts, testosterone, progesterone and others. These will give a person some energy, but they upset the delicate hormone regulatory feedback system of the body and they make full correction much more difficult. They are also expensive to test for and monitor. We find them unnecessary and harmful in almost all cases. Even thyroid hormone replacement is almost always unnecessary and harmful if the proper diet, supplements and detoxification protocol are followed fully. For more on hormones, read Hormone Replacement Therapy on this website. This is an important part of every nutritional balancing program. It is another aspect of health and healing that is often overlooked or glossed over too easily by physicians working with chronic fatigue syndrome. Most people with this condition have a pattern on a hair mineral test called sympathetic dominance. In some cases, it may take a year or more for the pattern to reveal itself. However, it is often present and it stops many people from getting well. The person is overusing the sympathetic or fight-or-flight nervous system, and this inhibits the digestion, elimination and the immune response. It must be corrected or progress will be very slow or non-existent. For more on this, read Sympathetic Dominance on this website. Adding the daily use of a near infrared light sauna and daily coffee enemas is needed in many cases of chronic fatigue syndrome. Each of these therapies is carefully chosen and has over a dozen therapeutic effects, many of which are excellent for those with chronic fatigue. For more on these therapies, read Sauna Therapy and Coffee Enemas on this site. Nutritional balancing has as its goal far more than just symptom removal. In my own case of chronic fatigue syndrome, as well as most others, there are subtle factors that are causative and need to be addressed. Often, for example, changes in attitudes are needed and absolutely essential if one is to recover completely, which is always our goal and a very achievable goal. In my own case, persistent daily use of the Roy Masters meditation was extremely helpful and probably absolutely necessary for my full recovery. For more on this subject, read Meditation on this site. Chronic fatigue syndrome is a multi-faceted and common disorder with both physical and mental or emotional causes at times. Nutritional balancing science is extremely helpful for this condition, and in most cases it is very capable of completely reversing the condition by addressing and correcting its half-dozen or so causes. What can your hair reveal? Josephine earned and completed her certification in holistic nutrition and in Functional Diagnostic Nutrition and she is now practicing Hair Mineral Analysis and Nutritional Balancing Science to people all over the globe from her home in Vancouver, British Columbia. With the help of Dr. Lawrence Wilson, whom I work with, we develop a finely tuned nutritional balancing program designed to balance your body based on the results of regular hair mineral analysis testing and your specific health status.